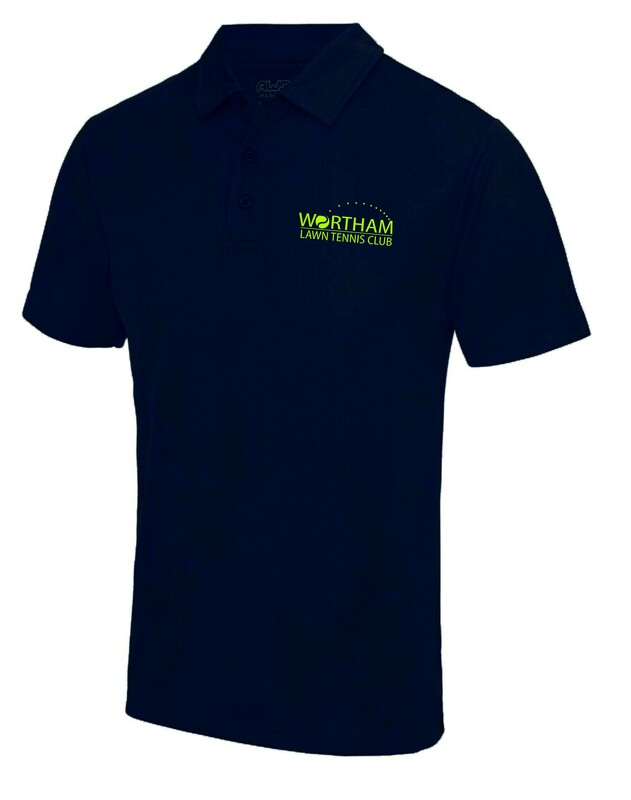 This men's performance polo shirt is printed with the Wortham Tennis Club logoon the front left breast. Made of 100% polyester, this performance polo shirt is made in a moisture wicking fabric with a 3 button placket. Available in Arctic White with Navy Blue print, Hot Pink with Navy Blue print, French Navy Blue with Lime Green print, Royal Blue with White print, Sapphire Blue with Navy Blue print or Purple with White print.